Welcome to the first of my Cafe Friday series! Prior to moving to LA, I started compiling a list of places to see. I looked online and did the typical tourist search inquires. After we arrived, I became so excited about all the random “little nooks” and “off the beaten path” locations that I was coming across. 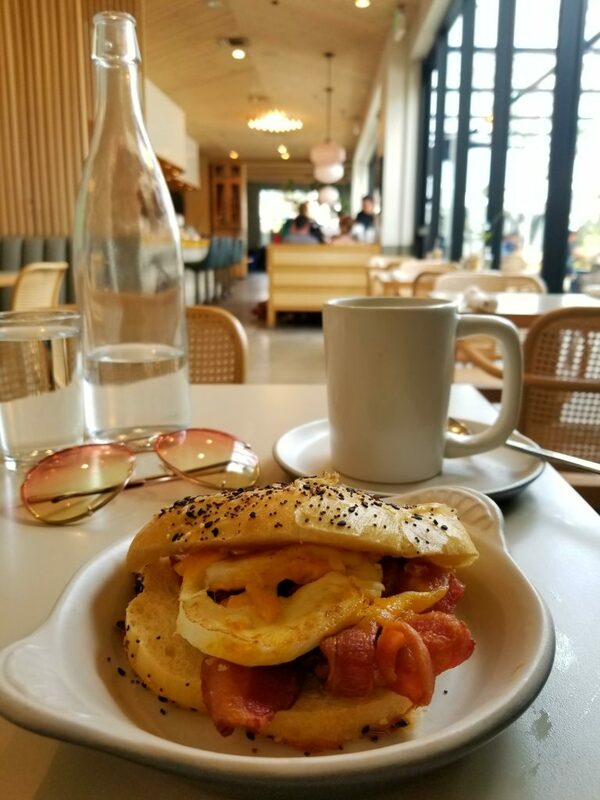 One Friday morning, when I woke up, the idea of heading to a Cafe came to mind. I immediately got dressed and told London to get dressed for our little outing. I got onto ” the google” (as my mom so confidently calls it), popped in cafes in LA, randomly chose one (based on the cute image of course) and then we headed right over. 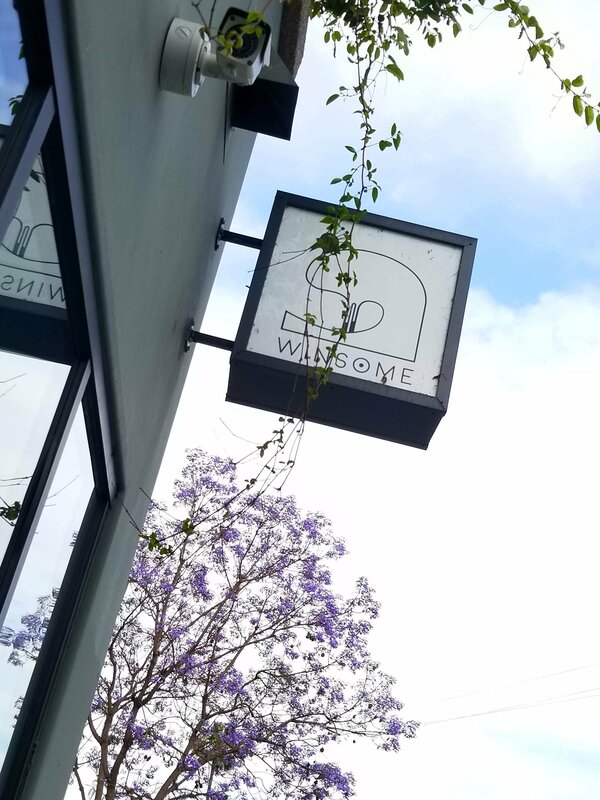 We had such a great time, the Winsome cafe was wonderful. 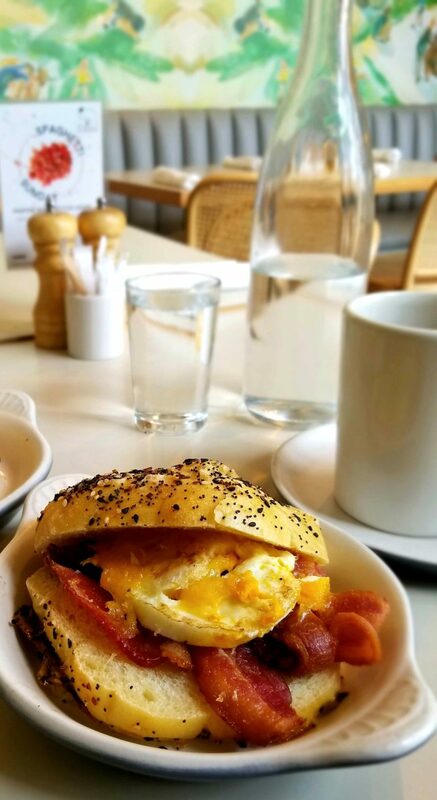 We chose egg sandwiches from their menu – which were absolutely delicious. The loads of thick and juicy bacon that came with the sandwich, was mouthwatering. The service and hosts were amazing from the moment we walked through the doors. We actually got there a few minutes before the kitchen opened, but regardless, they allowed us to sit and start with tea and water while we waited. The environment, decor and wallpaper was awesome. They also have a really cute and large outdoor patio area, I’ll definitely go for the outdoor experience when I return. Through this little excursion, we also discovered Echo Park, a cute, eclectic and very artsy neighborhood, just mins outside of downtown LA. By the time we got back home, I knew that this was going to become my Friday tradition and unique way of really Discovering LA. So that I can share the experience in real time, every Friday I capture video snips and pics of the chosen cafe, to share with you on my insta-stories. I follow up with my honest review, funny things I may have encountered and way more pics, right here on the blog. 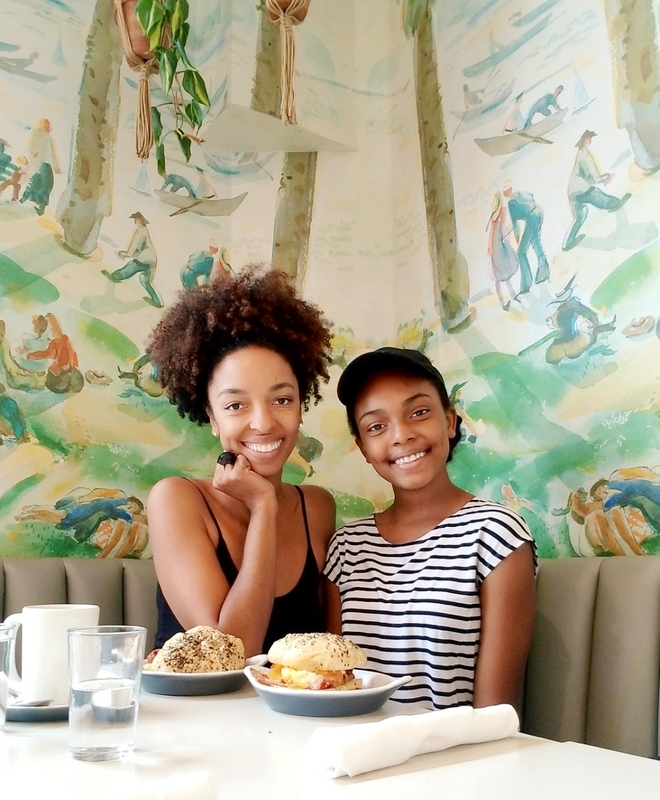 If you haven’t started enjoying Cafe Fridays with me yet, definitely check out @shayzon on Fridays or catch up by clicking on the Cafe Highlight, to see inside these cute cafe’s around LA.